Residents and team members at St. George Care Community took a mini vacation, getting some fresh night air on a farm. The air is quiet, filled with a sweet-grass smell. Four sleeping bags are spread out on the floor, their occupants fast asleep. Down the hall, residents sleep snug in their beds. Outside, an owl hoots goodbye to a waning moon, and the wind ruffles the leaves in the trees. 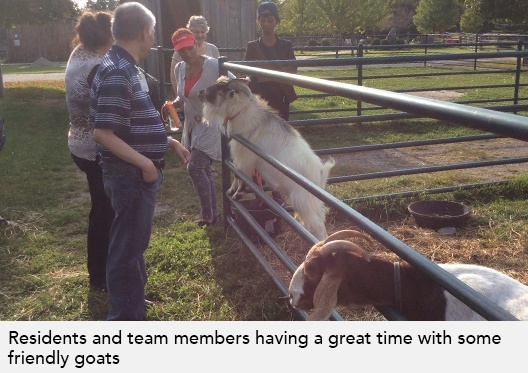 Five residents and five team members at St. George recently went on an overnight trip to Windreach Farm in Whitby. 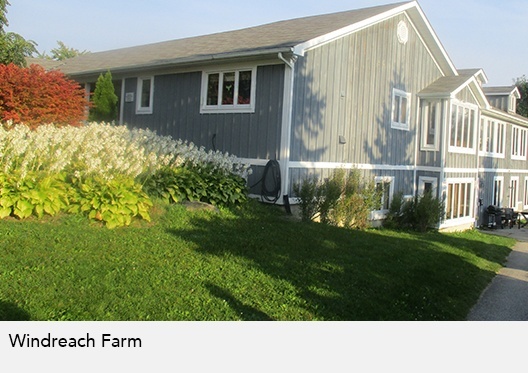 Home to horses, chickens, goats, and a beautiful sensory trail, Windreach Farm has been a favourite barbeque and picnic spot of St. George’s for several years, so when the idea of having an overnight came up at a residents’ council meeting, it seemed the obvious choice. The team left St. George around 1PM on Monday, their bus filled with everything they would need. Elaine says they took the residents’ bedding and personal effects with them, and that everyone’s things filled three-quarters of the bus. 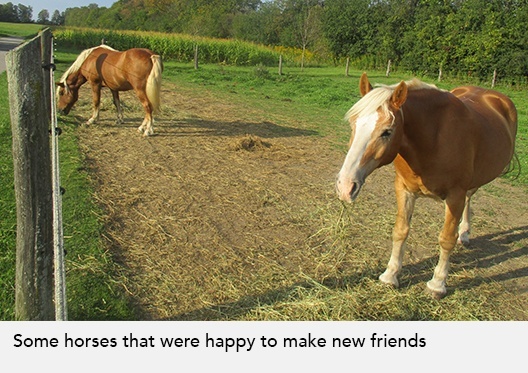 At the farm, residents enjoyed a sensory trail they could hike along, numerous animals for them to meet, a bonfire with roasted marshmallows, and movie night with old-time favourites and hot chocolate. There was even a basketball net for them to have a quick game with.